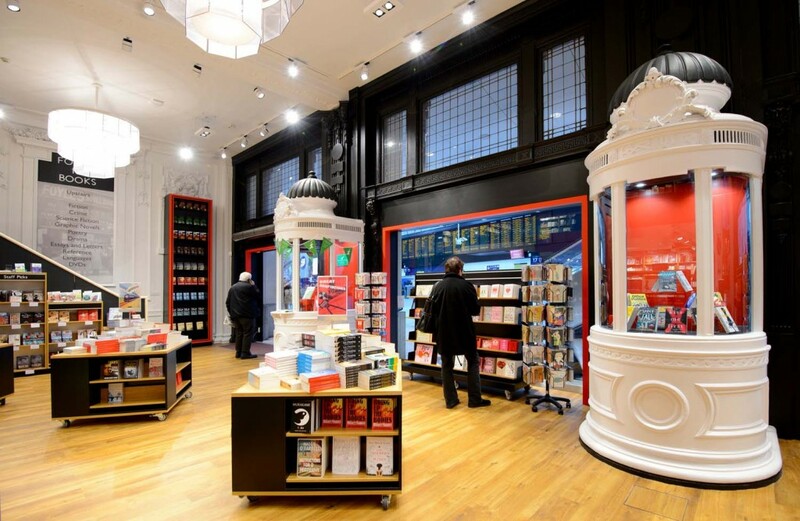 On the main concourse at the busy Waterloo Station, this store is set in the former ticket office. There are many architectural features in the building and we were required to encompass much of this into the design of the new store. We were responsible for the full fit out project including M&E services, shopfront, new staircase, internal MF partitions and ceilings, bespoke joinery, fixtures and fittings, floor finishes, decoration and sprinkler systems. 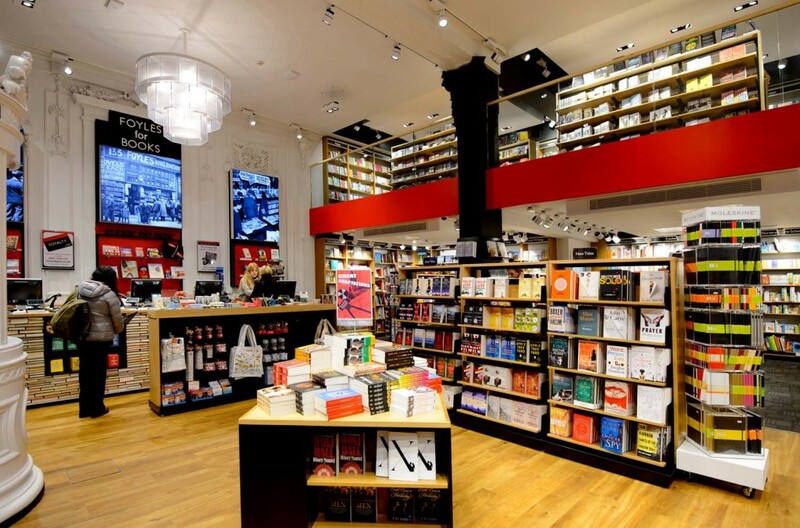 Foyles was established in 1903 and has remained an independent, family-owned bookseller throughout. 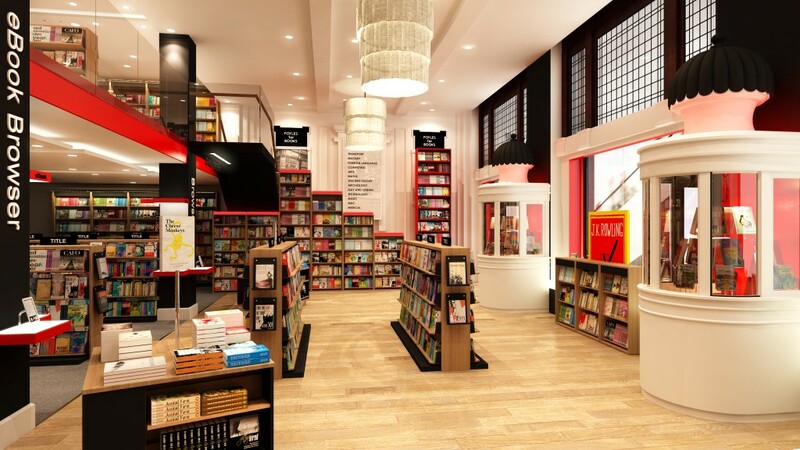 With the largest range of titles under one roof in the UK they are well positioned to meet the specific needs of their customers. 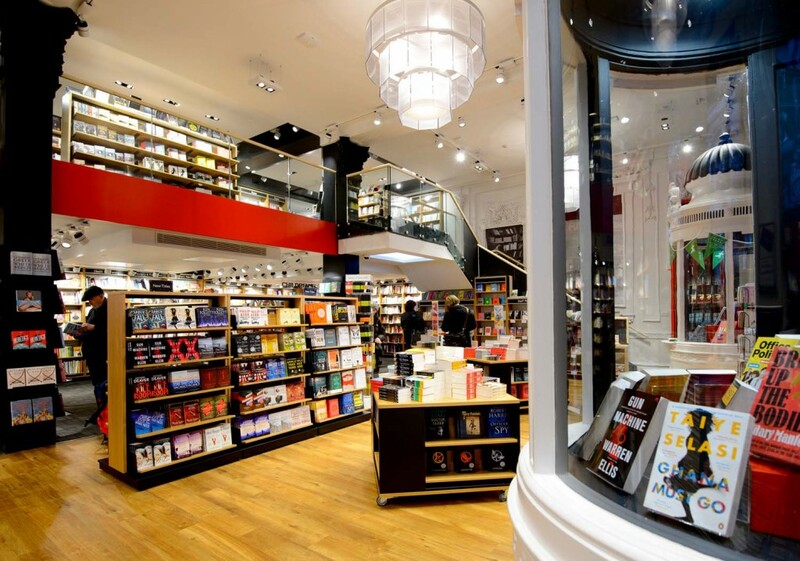 The flagship store on Charing Cross Road boasts of 200,000 different titles on 4 miles of shelving. 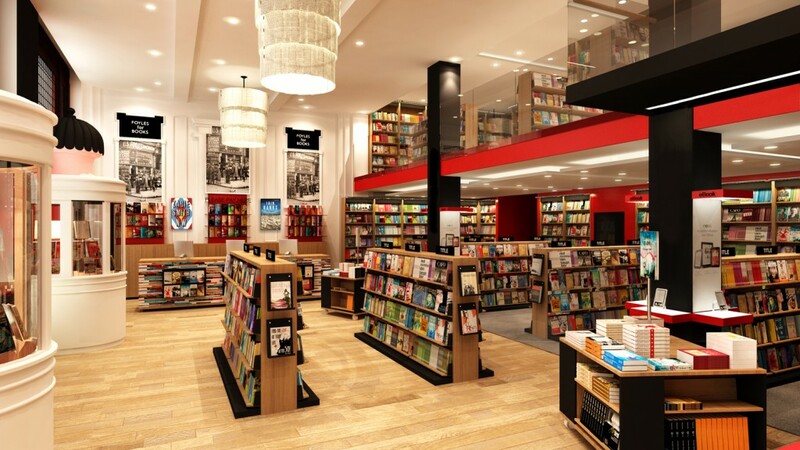 No surprise then that they have won National Bookseller of the Year in 2013, 2012, 2010 and 2008, and Children’s Bookseller of the Year in 2012. 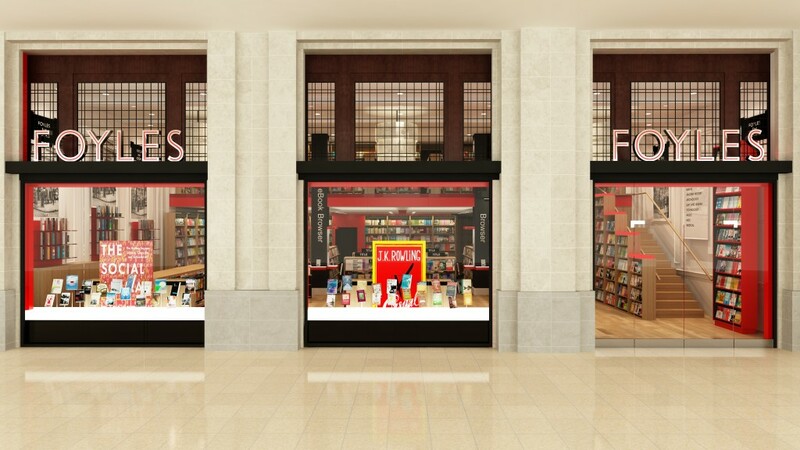 We worked closely with Foyles and Lustedgreen to provide a new lease of life to this former ticket office on the concourse at Waterloo Station. The concept was to create a modern retail environment whilst still retaining many of the striking decorative architectural elements. 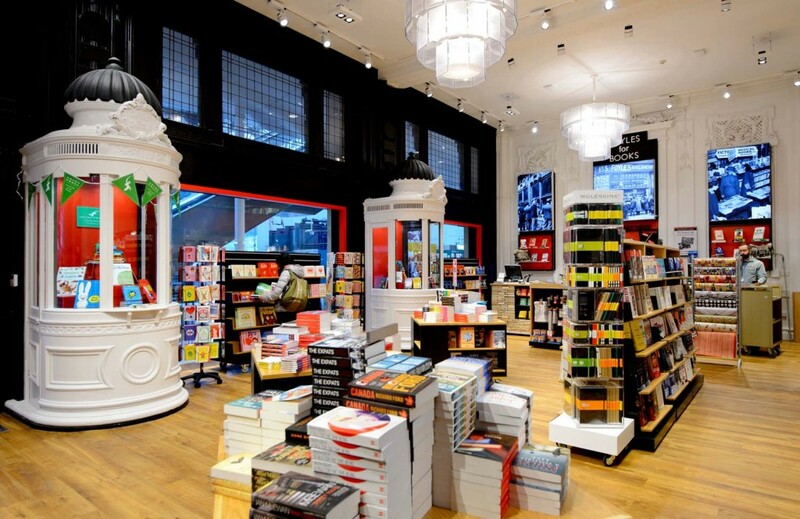 Features included a cash desk made of recycled books and 3 chandeliers made from book pages from “Around the world in eighty days”.